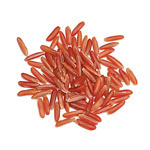 Gourmet Rices & Dried Beans | Spices Etc. 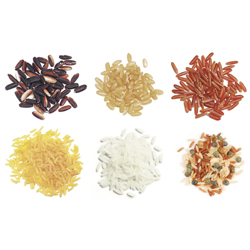 Rice comes in so many colors and flavors that we've put six together for you in a rice sampler! Rice for dessert? Why not, when it's Purple Sticky Rice from Thailand. Its sweetness makes it a natural for puddings and desserts. 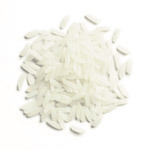 Bamboo rice is a short grain, all natural white rice that contains pure fresh bamboo juice. Since the grains stick together when cooked, it's perfect for sushi. Lentils are a popular and healthy choice for soups and make a divine cold salad with Feta cheese and dressing. 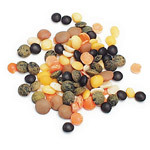 Our Autumn Lentil Blend puts all of the colors of the season into a protein-rich blend with 5 kinds of lentils. 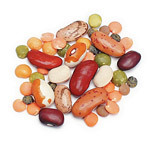 Grandma's Bean blend has eight types of beans for any recipe that calls for a combination of legumes. 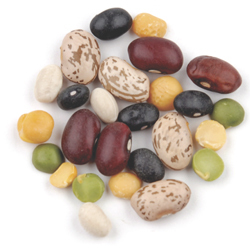 It's fun to serve dishes with all of these bean colors, shapes and textures. Need more? 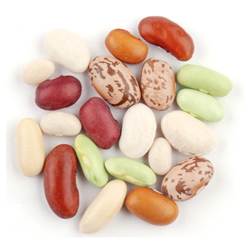 We put together 10 beans for our Ten Bean Blend! Just add the beans to rice and top with cheese and onions for a super quick dinner. For a more Cuban style, add chicken, sausage and spices to black bean soup for a one-dish meal. Purple sticky rice is native to Thailand and when it is cooked it will turn a indigo color with sweet flavor. 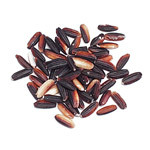 Purple Sticky Rice is commonly used as a dessert rice in Southeast Asia and stuffings, puddings and rice balls. Basic Preparations: Rinse well. Place 1 cup rice and 2 cups unsalted water in pot with lid, bring to a boil, cover, and simmer on low for 40 minutes. Remove from heat and let stand 10 minutes. One cup dry yields 2 cups cooked. NEW! 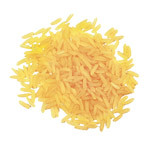 Saffron Rice is a flavorful blend of paprika, turmeric and, of course, saffron. 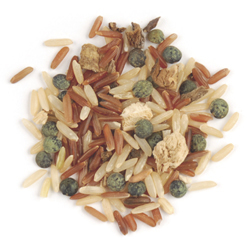 Saffonr is considered the gold herb of the world, great tasting rice....perfect for jambalaya! 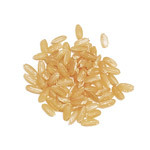 Basic Preparations: Place 1 cup of rice and 1.75 cups of water in a pot with a lid. Bring to a boil, cover, reduce heat and simmer for 20 minutes. Remove from heat and let stand 5 min. Season as desired and fluff with fork before serving. 1 cup dry yields 2.5-3 cups cooked.